Note: The following is an editorial by Larry Millhorn, president of the union representing approximately 500 Polk County Public Schools bus drivers. Please see this link for background details. 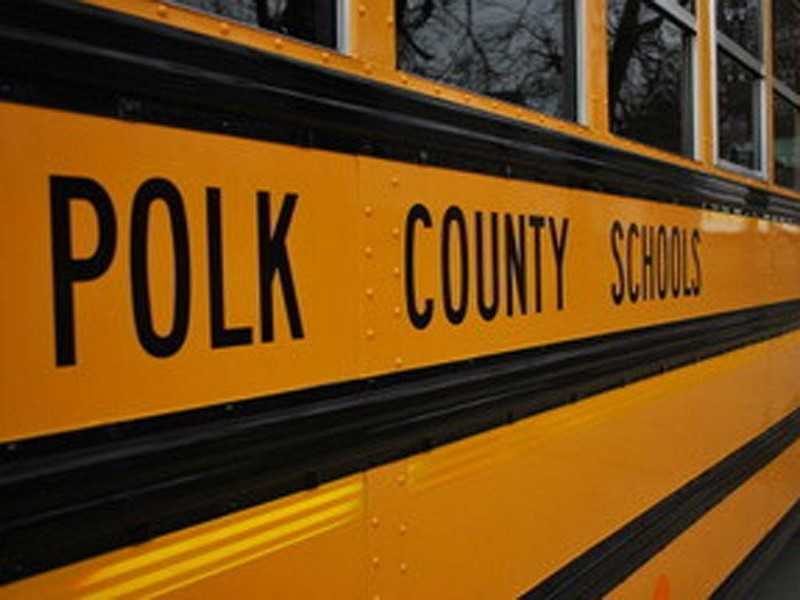 There’s been much discussion in recent weeks about Polk County Public Schools’ decision to end busing for charter school students, but one voice that hasn’t been heard in this conversation is that of the bus drivers. As president of AFSCME Local 2227, I represent approximately 500 bus drivers, and I can tell you they fully support the district’s decision. Being a bus driver is not easy work. Our bus drivers are on the road well before the sun comes up, and many of them do not get home until 6 or 7 at night. They have a tremendous job to do every day. They must pay attention to the road, obey all traffic laws, and drive defensively to ensure that our children arrive to and from school safely every day. They must also pay close attention to what’s behind them: dozens of children whose lives are literally in their hands. They must make sure those children stay in their seats, are quiet, and do not misbehave. Our drivers do all this for very little in return. The highest paid driver in our system makes $18.33 an hour. Bus drivers do what they do because they care about kids. I could tell you endless stories about bus drivers who provide coats and snacks to children in need, who wear funny outfits or give high-fives to brighten their children’s days, who know their children by name and greet them with a smile every day. I say “their children” because that’s how our drivers feel about the students of Polk County. They consider them family. Our bus drivers don’t just transport kids, they make a difference, and for that, they deserve to be respected and heard. 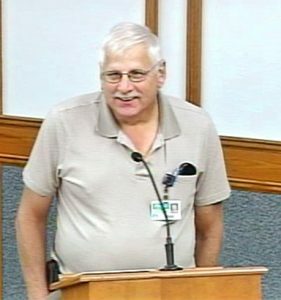 In eliminating the charter routes, that’s exactly what Polk County Public Schools is doing — listening and respecting their bus drivers. Last summer, Superintendent Jacqueline Byrd and members of her staff met several times with bus drivers. The intent was to identify ways to improve working conditions. One of the recommendations bus drivers made was to eliminate routes they don’t have to run. There is no legal requirement that the school district transport charter students. We’ve done it for years as a courtesy, but our system can no longer afford to offer this service. It’s not that our drivers don’t want to transport charter students. Many of our drivers will be heartbroken to not see those kids on their bus every day. But our bus drivers recognize something has to change. There is an ongoing shortage of bus drivers. On any given day, 40 to 50 bus drivers call in sick. When this happens, other drivers have to do their normal routes and cover parts of other routes. Inevitably, the ones who are most affected are the kids. They’re late getting to school, and they lose valuable learning time. The district recently pulled data from two weeks in each month, from September 2018 to January 2019. It found that nearly 4 percent of morning routes were late. The education of our children is too important to be cutting it that close. Eliminating the charter routes is a start on meeting the challenges our transportation system faces. It will allow our district’s limited transportation resources to be concentrated on what we absolutely must do: get our traditional public school students to and from school on time every day. The school district has received its share of criticism for the charter school decision. I would encourage those critics to contact their local representatives. The district’s transportation operating expenditures are in excess of $34 million, yet it only receives approximately $23 million in state funding. That shortfall is why decisions such as the elimination of charter school busing are necessary. If the state legislature provided the funding the district needs to hire and retain bus drivers, we wouldn’t be in this situation. You can find your local representatives by visiting flsenate.gov and myfloridahouse.gov. The bus drivers of Polk County Public Schools are good, caring, hard-working people. They get behind the wheel every day because they enjoy contributing to the success of our children. The charter school decision wasn’t an easy one, but it’s what’s in the best interest of our traditional students and our bus drivers. The school district listened and took action based on our bus drivers’ recommendation. They made a hard decision, but it’s one AFSCME Local 2227 supports wholeheartedly. Several PCPS transportation employees have also shared their thoughts on the charter school issue. Their comments have been added here. I have been following the process the School Board is taking regarding discontinuing the busing for charter schools in Polk County. I wanted to weigh in from the perspective of a Polk County School Board ESE bus driver. Let me first say that I am in favor of discontinuing the busing for charter schools, for no other reason than the strain it poses on transportation needs of the public school students. I currently pick up students for four schools in the morning, one of which is a charter school, Victory Ridge, which is my third drop off. My concern is that I am unable to get my students to the last school, Chain of Lakes Elementary, on time. We average between 15 and 25 minutes late every morning. The students are rushed into the cafeteria to eat breakfast quickly, so they can get to class. Their day is always started late and rushed, which is not fair to them. I think students would perform better if they started their day on time and were able to have breakfast with their classmates. I see the effect this has on them, and some have said they are embarrassed to walk in to class late daily. We currently have a parent of two students who has chosen to take their students to school, so they are able to start their day on time. This causes the School Board to lose money as they are not being transported by us. The other concern is that often multiple buses must be sent to the same area to pick up students, as some of our buses have charter school students aboard and do not have the room to pick up anymore public school students. I am sure by discontinuing the need to pick up the charter school students, we could make our routes much more efficient and relieve much of the strain caused by the driver shortage. Our motto of “Students First” cannot be just a tagline, it must be something we live by and we must put our Polk County Public Schools students first.